Welcome back. 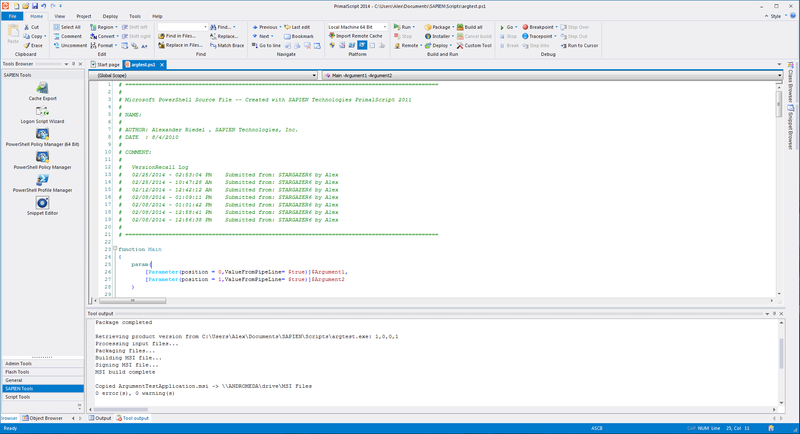 As we previously discussed, PrimalScript 2014 has a few new options for the script packager and has added features for creating MSI databases and deploying your script solutions. If you have missed the previous three installments, use the links below to catch up. Today we are putting this all together and show you how to use this efficiently in your day-to-day operations. Head over to the Deploy tab and apply all the settings you need. These setting will be stored per script in a .psbuild file. 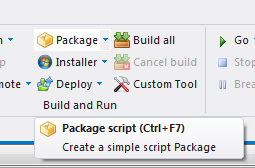 You can package, build installers and deploy with your current settings right here. Additional commands are available in the dropdown menus for these new buttons. The old hotkey for just creating an executable package is still here: Ctrl+F7.